Teacher Supervision and Evaluation, 3rd Edition equips teachers with the knowledge and skills needed to transform both supervision and evaluation into a powerful vehicle for maximizing growth and enhancing student learning. New and re-conceptualised content has been integrated throughout the pages. New case studies, examples, and vignettes have been included to offer the most up-to-date information. Additional pedagogical tools have been added to help build understanding, including skill and concept development exercises, discussion questions, and theory-into-practice applications. This practical approach enables teachers to gain a new perspective on their classroom experience. 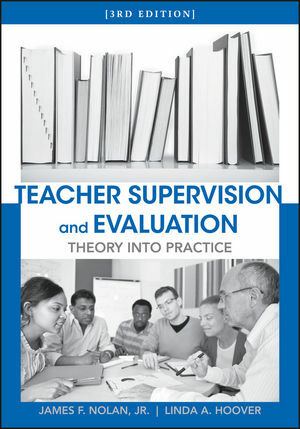 James Nolan Jr. and Linda A. Hoover are the authors of Teacher Supervision and Evaluation, 3rd Edition, published by Wiley. Chapter 1 Understanding The Components Of A Comprehensive Teacher Supervision And Evaluation System. Part II The Basic Elements Of Teacher Supervision And Evaluation. Chapter 2 Key Concepts And Skills In Classroom Supervision. Chapter 3 Standards For Effective Teaching And Teacher Evaluation. Chapter 4 Procedures For Evidence-Based Teacher Evaluation. Chapter 5 Supervision And Evaluation Of The Novice Teacher. Chapter 6 Supervision And Evaluation Of The Marginal Teacher. Part III Embedded Professional Development Strategies For Differentiated Supervision. Chapter 8 Self-Directed Teacher Growth. Chapter 10 Collegial Development Groups. Part IV The Special Cases Of Preservice Teachers. Chapter 11 Supervision And Evaluation Of The Preservice Teacher. Part V Supervision And Evaluation: Transforming The System. Chapter 12 Developing Your Own System Of Teacher Supervision And Evaluation. Appendix A: A Word On Classroom Walkthroughs. Appendix B: Educational Leadership Constituent Council Standards. Offers new skill and concept development exercises, discussion questions, and theory-into-practice applications. Provides opportunity for teacher growth through supervision and also for evidence-based teacher evaluation.